Get ready to have your mysteries solved… Tell us about your VITA “mystery questions” to be featured on our social media in April. We’ll be publishing your stories – the solved and the still mysterious – on our blog throughout April. Join us with #MysteryMonth on Twitter and Facebook. Read about Mystery Month on the ODW blog here. Last week we attended the Ontario Library Association SuperConference in Toronto. We love getting the chance to catch up with VITA members and show off our newest upgrades. Besides our usual Expo Hall booth, we shared research in a few ways. Our practicum student Tiffany Luk presented a poster about web traffic to VITA newspaper collections, and ODW Media Coordinator Allana Mayer led a session on our 2018 survey of digitization in Ontario public libraries. Grab a copy of our full report, the slides from our presentation, and a list of digitization resources. They’re on our website now! Our VITA sites are back online! We are thrilled to say that we’ve finished the restore process for our VITA Toolkit partner sites. All sites are now back online, and your OurOntario.ca search results should be working. You may discover an occasional item record that fails to load as we finish restoring some of the biggest files in our collections. See a list of our VITA Toolkit sites. If you visit a VITA site and continue to see an error message about the site being offline, please make sure to clear your cache and refresh the original URL (removing the “/offline” at the end). 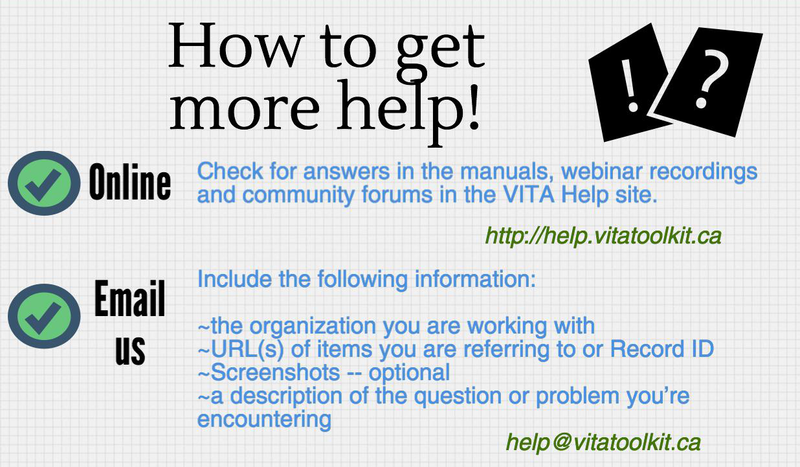 If you have any further questions or concerns, don’t hesitate to get in touch at help@vitatoolkit.ca. If you’re with a VITA member organization and want to stay updated about the administrative side of VITA, be sure to subscribe to our newsletter. Due to an unexpected service interruption, some of our VITA Toolkit digital collections are offline. We are working diligently to restore these collections for public search and discovery. Many are now back online, but as a result of this, you may encounter some links to an “offline” message either on individual VITA Toolkit sites or in the OurOntario.ca portal. All content will be back and available as soon as possible. The Government Documents and INK sites are not affected. Thanks for your patience. Please check back or sign up for our newsletter to receive updates. We had an unexpected server issue over the weekend. All VITA sites and accounts are affected. We are currently restoring the sites. 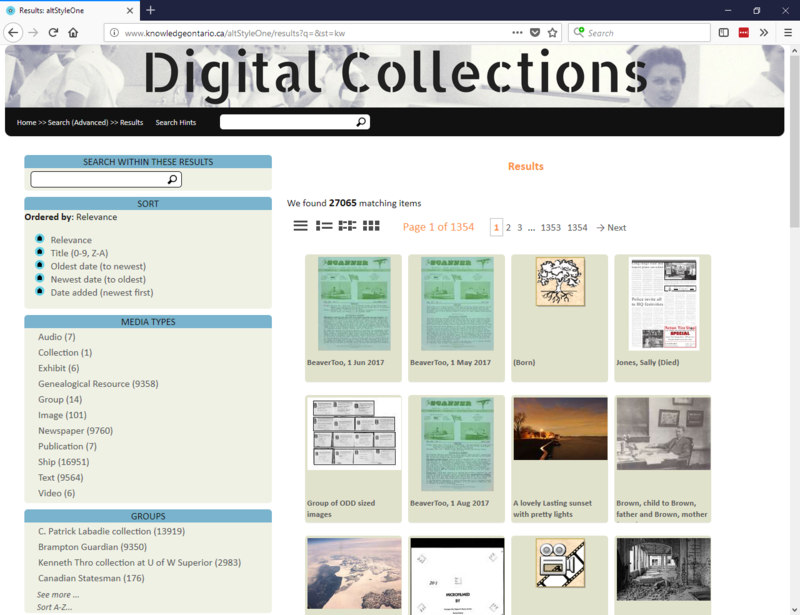 You may see some sites come online ahead of others – the Federated Women’s Institutes of Ontario Digital Collections is already back online, for example. Other ODW websites such as OurOntario.ca will have some links that lead to “offline” content for the moment, but INK and Government Documents are not affected. We will post an update as soon as you can start using VITA again. We appreciate your patience as we work to resolve this issue. If you have any concerns, please let us know at help@vitatoolkit.ca. Thank you! The County of Brant Public Library released their story anthology, Place Settings, using their VITA platform to host the eBook as a PDF and individual audiobook chapters, where each story is read by its author. Each chapter is geotagged to the local area where it takes place. The Then/Now Youth Photography Project is sending shutterbugs through the city to capture updated views of archival photographs. The Waterloo Public Library created a record group in VITA to host the project online. They’ve used VITA’s multipage document module to innovatively present each pairing, so you can flip back and forth between the Then and the Now! 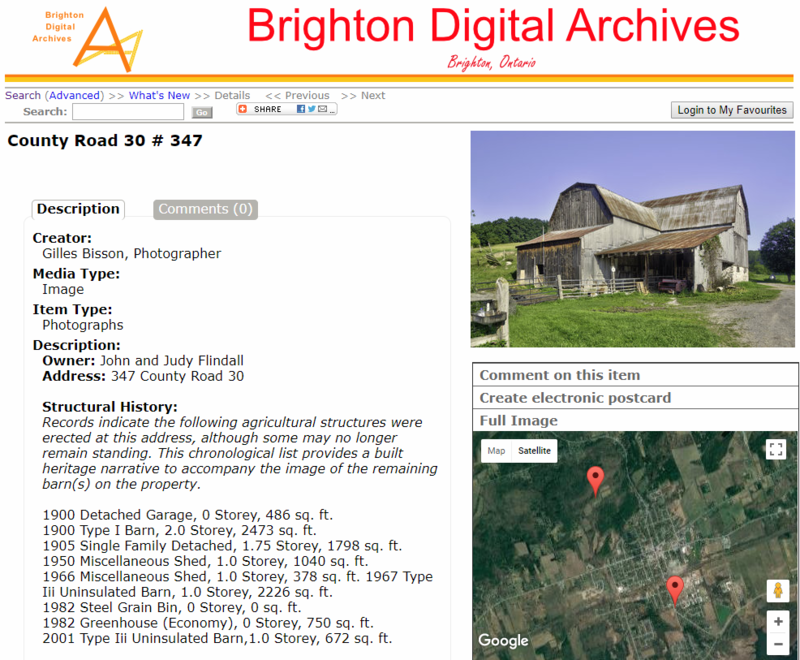 Recently featured in their local paper, the Brighton Digital Archives has a wonderful project photographing and cataloguing local barns. The Project has begun uploading photos to their VITA site and listing them in an exhibit. At this point, almost 200 barns have been photographed, resulting in over 2,000 images, so you’ll see a lot more added in the near future. Want your awesome community project using VITA featured in the ODW blog, newsletter, and social media? Contact us and ask how we can help! Summer training on all things VITA! Jess and Frances will be hosting a series of live Q&A sessions for anyone learning about VITA this summer. Whether you’re a first-timer, a summer student or intern, a long-time user looking to brush up, or an advanced user with ambitious questions, Jess and Frances will be providing demos and walk-throughs upon request. There’s no sign-up necessary, and everyone is welcome! See the Training Calendar for dates. If you can’t make it, be sure to check out the webinar recordings on our YouTube channel and the VITA Help site! Annual Survey of Public Libraries: Make your collection count! The Ontario Ministry of Tourism, Culture and Sport has released its Annual Survey of Public Libraries and now’s the time to make your VITA collections count! We’re ironing out a couple of details, but then will provide step-by-step instructions on how to include your VITA content and traffic statistics in the survey. SOLS is offering a series of webinars about completing your survey. Stay tuned to our blog and help.vitatoolkit.ca for more information and documentation. Not from Ontario? 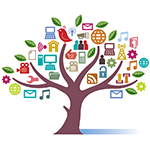 Tell us about any similar surveys so we can help you include your collections!